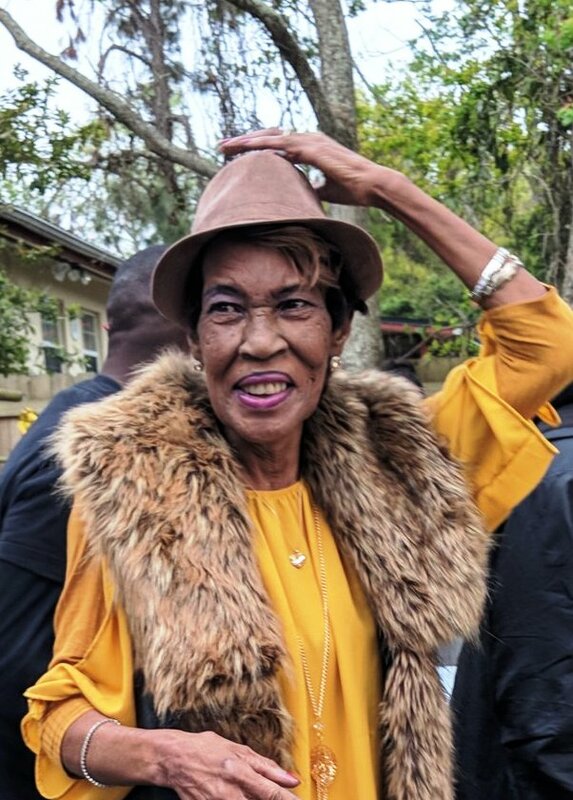 Pansy Bell, 60, of Jacksonville, Florida passed away September 12, 2018. She is preceded in death by her father Iseal James Lockett and mother Mildred Williams, son Jeramiah Bell. Survivors include her daughters Whitney (Joshua) Servance and Maria Williams, sons Earnest Bell Jr and Cornelius Bell, 11 grandchildren, 3 great grandchildren, sisters Regina (Anthony) Woodard and Alice Wilson, brothers Walter Williams, Edward Gunter, Johnathan Williams, and Mark Lockett, special friend William Robinson, best friends Diane Washington, Annette Sinclair, Jeanette Nelson, and Cynthia Brown. Funeral Service will be 1 PM Saturday September 22, 2018 in Evergreen Chapel. Interment will follow in Evergreen Cemetery. A visitation will be held from 4 PM to 6 PM Friday September 21st in Evergreen Chapel.